a couple of bright colors, neon yellow, bright pink, a bit of galaxy purple, go crazy! 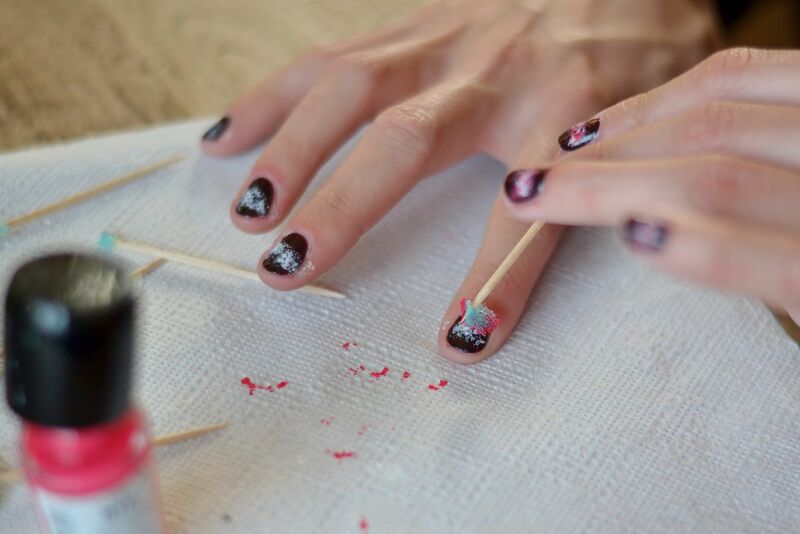 Apply 2 thin layers of the dark color and let it dry. 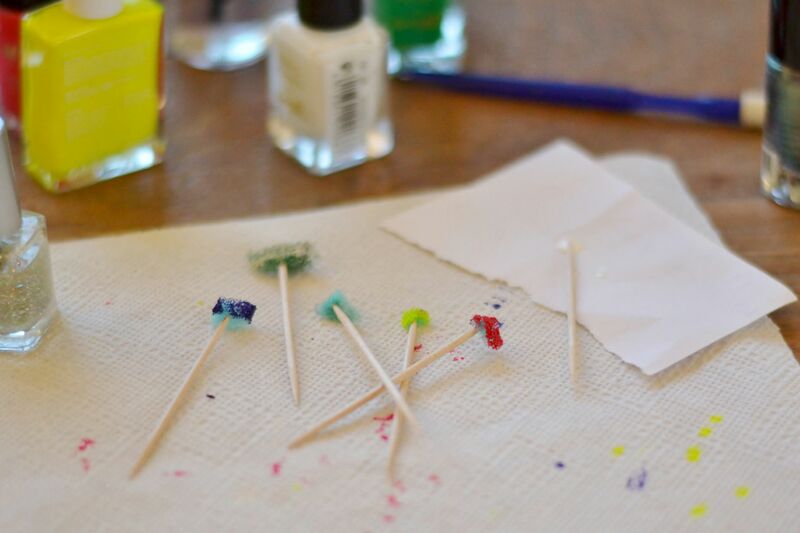 Take your white nailpolish and using the toothpick with a little piece of sponge at the end (you could also use some tweezers to hold the sponge, whatever works for you!) 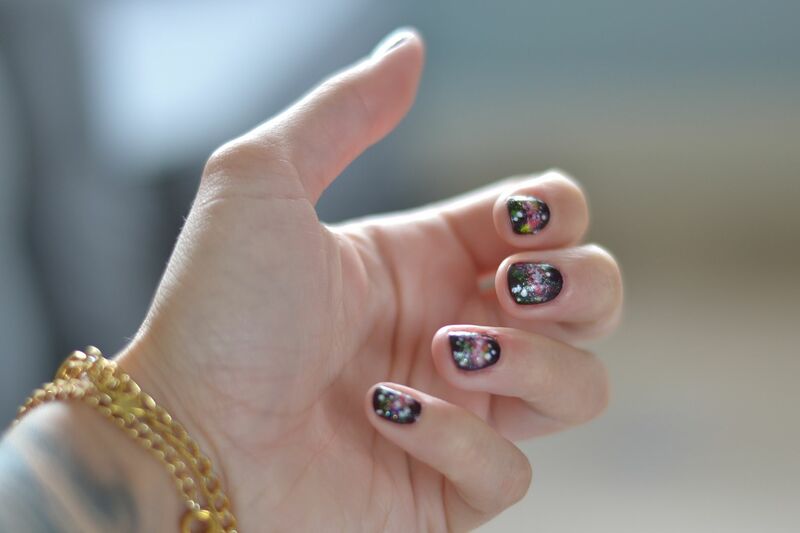 sponge on a galaxy-way across your nail. Make sure not to put too much polish on your sponge, you can use a paper towel to get rid of any excess polish. Time for stars! Take a toothpick and dip it in your white nailpolish and directly on to your nail, making bigger and smaller stars on to your nails. Make sure everything is dry and use remover to get rid of any misstakes, now top it off with a good coat of clear polish so everything becomes shiny and protected. That's it! Trust me when I tell you it is wayyy easier than it seems! Just give it a go and let me know how it went. I have tried this before and it is such an amazing technique and so simple to do. Prutswerk maar een geweldig resultaat!